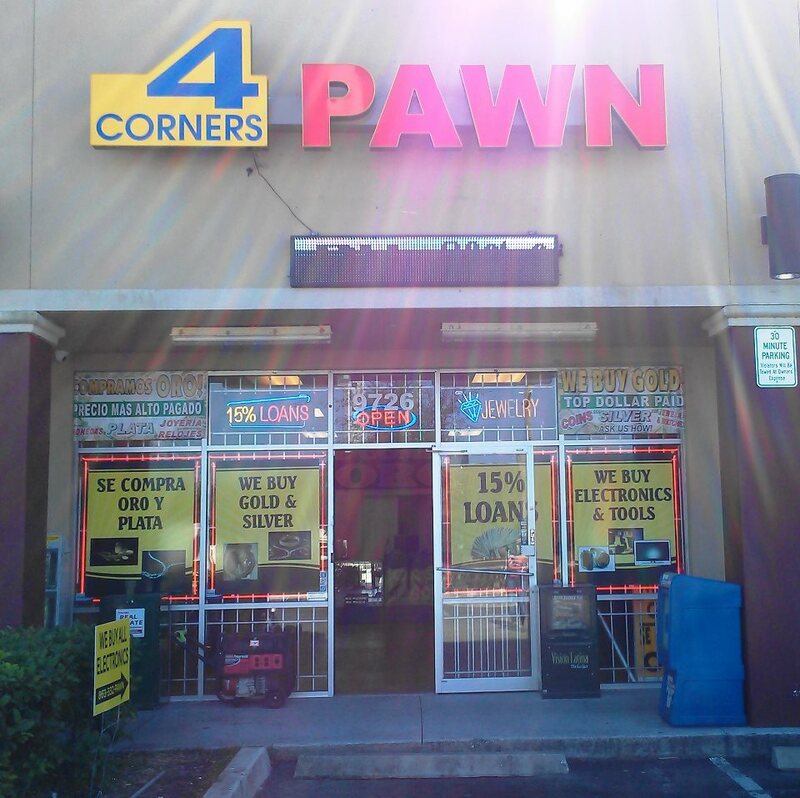 4 Corners Pawn and Gun strives to provide the Best Customer Experience in Pawn industry. We have combined of over 20 years of experience in the industry and promise to treat and do business fairly to all of our customers. We strive to provide the Best Experience Possible to our clients whether in Pawning, Selling or Buying any items of value. We also Buy Sell or Trade Firearms. We Buy Diamonds, Rolex and Gold for best $$$ possible. Stop by and we are ready to answer your questions or help you with anything we can.